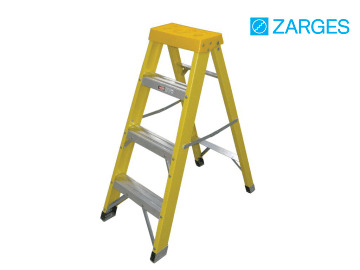 The Zarges Fibreglass Swingback Steps have non-conductive, glass reinforced stiles making them ideal for electrical contractors. 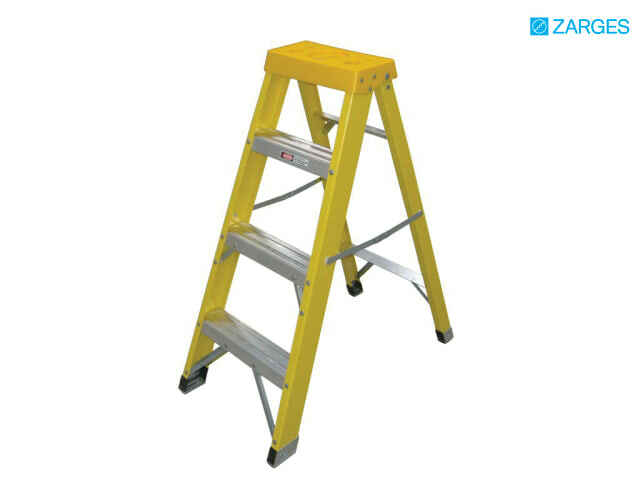 The stepladder has strong, locking side arms and double riveted, non-slip feet. Its aluminium treads are also double riveted for extra durability. All sizes conform to EN 131 standards and have a 150kg rating.